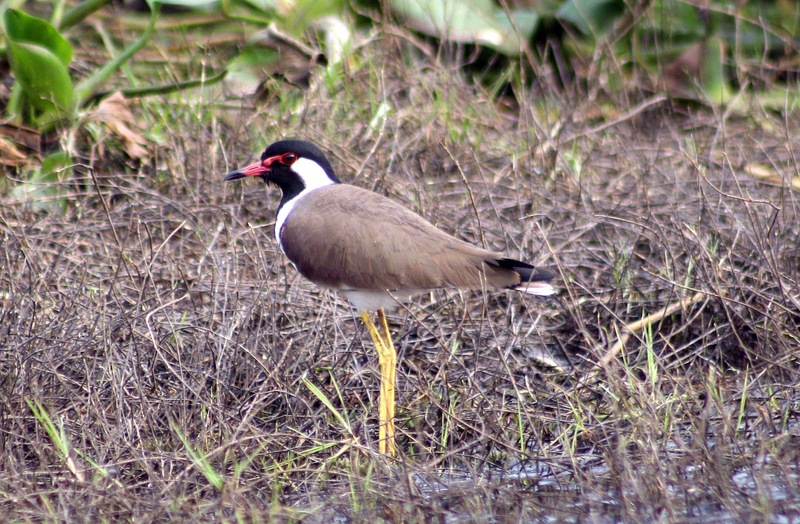 A Red Wattled Lapwing at Deepor beel. The Red-wattled Lapwing (Vanellus indicus) is a lapwing or large plover, a wader in the family Charadriidae. It has characteristic loud alarm calls.